Keeping a cockroach infestation under control is not easy. And it’s not just essential to make your home look good. It’s essential for the well-being of you, your family and your home. A dense population of cockroaches inside your home is not exactly healthy. It poses serious threats to your and your entire family’s health because all cockroaches are capable of spreading diseases. They carry tiny organisms in their body which they spread around through their excrement. These organisms are the main culprits for diseases being spread around your home, diseases which can affect everyone including your pets. Where there is moisture and harbor age resources, there will be roaches. And no matter how careful you are, they always come back. That’s why you need experts. That’s why you need Chambers Pest Solutions. We are a trusted name when it comes to cockroach control in Perth. The foremost thing to do to prevent cockroaches from thriving in your home is to opt for an inspection. We have highly experienced professionals in our team who conduct thorough inspections. They know which areas are targeted most by roaches and they inspect those areas all the more thoroughly. After the inspection, you’ll receive a comprehensive report indicating which areas of your home need special and immediate attention. The service offered by our team is very unobtrusive. You’ll have no problem continuing your daily activities when we are there, working in your premises. 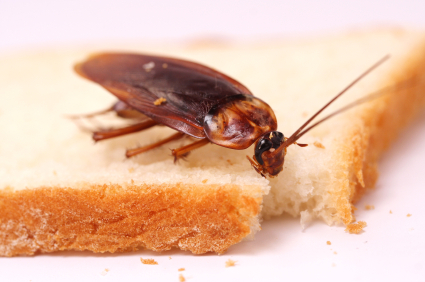 Not only do we remove all cockroaches from your premises with our tried and tested methods, we also take care of the after-service cleanup. So, you can rest assured that the cleanup after the service will be taken care of by us. To know more about our cockroach control in Perth services, Please contact us.